Choosing game of the year is always difficult, but it's particularly hard this year because despite all the doom and gloom brought about by world events 2016 has been a stellar year for game releases. So much so that I have been unable to play all of the games that have interested me. Whilst some, such as Mighty Number 9, are perhaps best forgotten, there are a number that have stayed with me, some months after I first played them. Games like Inside, Watch_Dogs 2 and Doom were all extremely memorable and could each be seriously considered as 'Game of the Year' contenders. However, there is only one game that I have played this year that really made me happy. 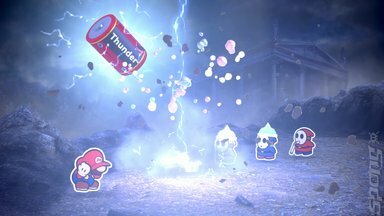 Paper Mario: Colour Splash. 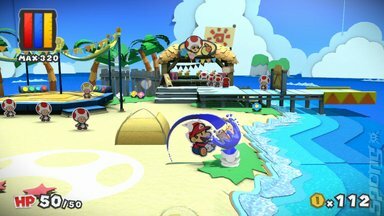 The reaction to Paper Mario: Colour Splash has been rather mixed. Many reviewers criticised the game for its combat system, arguing that it was overly complex and led to moments of frustration. I must have been lucky because throughout my thirty or so hours with the game I never experienced any feelings of irritation. Once I had mastered the combat systems it became extremely obvious why it had been implemented in this way. It fit perfectly with the narrative and had a level of depth that wasn't immediately apparent. By the end of the game engaging in combat became joyous. I actively sought out enemies to defeat because I enjoyed the systems in play. Earlier in the year Nintendo released Mario & Luigi: Paper Jam for the 3DS. Narratively the game seemed to indicate that stories from the Mushroom Kingdom had rather hit a dead end. Consequently I was not particularly hopeful for Colour Splash. Whilst Mario platform games can get away with recycling the same story over and over again this is less feasible for what is essentially a role-playing game. Fortunately Colour Splash surprised me. The script was tighter and far more entertaining than earlier entries in the series. Cultural references felt more natural and were genuinely funny. 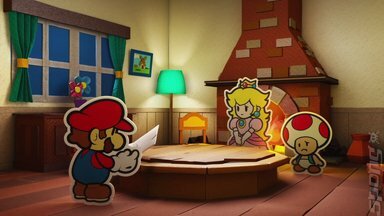 The plot had a level of pathos that has so far been absent in the majority of the Paper Mario games and although it doesn't quite hit the highs of 2014's Thousand Year Door I found it to be extremely satisfying. I played through the majority of the game with my daughter and it made us both smile and laugh. It may be a bit of a cliché, but in a year like 2016 it was just what was needed. James Farley is one quarter of The Computer Game Show and a regular contributor to SPOnG.